We adore gingerbread cookies around here, because they never fail to make us feel warm & cozy, happy & healthy, & full of joy! I make my best gingerbread cookies and leave them naked. What does a naked cookie mean? It means…without frosting. Rarely do we frost or ice our gingerbread cookies. For one, they get eaten so quickly that I don’t have a chance. For two, my family really doesn’t seem to need the additional sugar to enjoy their charm. And, why fight that? This recipe is the one that we use to create our gingerbread biscotti and our gingerbread trees. It is one that you’ll put into your files and pull out each year. This recipe is simple, it tastes great, and why mess with that? However, there is one icing that we do love. It’s eggnog icing. So if you make these cookies, that’s the only one we give you permission to use. Do you like our cooling rack? It’s a super cheap one. You can get it here. Pretty things don’t always need to be expensive! We have a story here on NellieBellie about my son Levi and his desire to make a gingerbread ninja… this is the recipe used for that. Almost all children that have gone through elementary school have heard the Gingerbread Man story and probably even made gingerbread men in class. It seems to be a tradition developed over the years in elementary schools. And I LOVE IT!! I simply adore my children learning the value of tradition, of “old-school”, of simplicity, and something that is simply good. There are no fancy gimmiks with gingerbread cookies. Because there doesn’t need to be, does there? Oh, what it does to the soul to eat the best gingerbread cookies (real, homemade ones!) over the holidays!! So, cheers to you teachers that use gingerbread cookies in class…giant hugs and cheers!! And, to you parents & grandparents that make these every year (especially if you get your kids involved! )…please share with us some of your tips, tricks, creations, and stories about why this kind of cookie, in particular, is special! Either! It’s really up to your preference. Traditionally, they tend to be hard. That’s the best for making them into things like houses or decorating. But if you don’t like them like that, don’t make them that way. How do you know when gingerbread cookies are done? When the edges become firm. The center will still be a bit soft. The longer you bake them, the harder they will become. When you want to make gingerbread houses, baking your gingerbread a bit too long is great for making it stiff (and good building material). 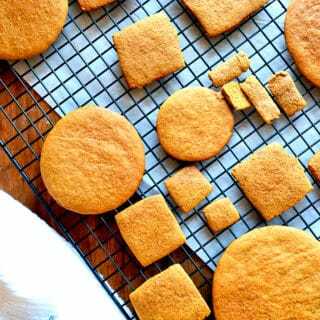 Are gingerbread cookies the same as molasses? While they’re similar, gingerbread and molasses cookies aren’t exactly the same. Molasses cookies are normally chewy, and gingerbread usually snaps if you break it. 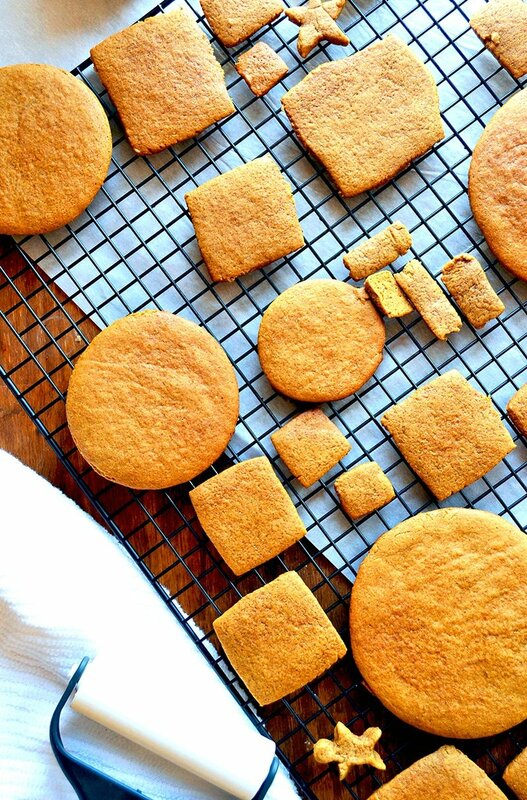 We have a great no-molasses ginger cookie recipe, by the way. You simply must try it! Beat shortening on medium speed for about 45 seconds, until light and fluffy. Add sugar, baking powder, baking soda, and spices. Beat until combined. Add molasses, egg, & vinegar. Beat until combined. Add 2 cups of the flour and beat until combined. Beat in the remainder, if you can. Otherwise stir it in. ----For cut-outs roll the dough (about 1/2 at a time) on to a lightly floured surface until about 1/8 inch thick. Cut out. Bake cookies at 375 degrees for 5 to 6 minutes or edges are slightly brown. Cool before icing or frosting. And don’t forget to check out our new book Creative Gift Ideas: 52 Unique Gift Sets for Under $20.00 to get some great ideas on what to give those people in your life who are just a little bit harder to buy for.